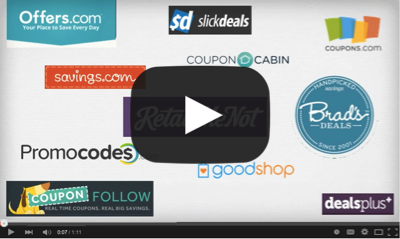 Too often shoppers find sites that aggregate your promo and coupon codes. Sites that bombard them with ads and provide codes that don't work and even provide your competitors' codes. We provide a customized coupon site for your business, and your business only. Your branding, your codes, and your content for your customers. Check out the video below to learn more about what we do. With a look and feel that is consistent with your online store, only your brand's flag will be raised to the world. Your site will look great to your customers whether they are on their computers or mobile devices. Your site is just that -- YOUR site. Tell us what you want or let us design a great site for you to approve. Quit paying coupon aggregators who provide competitors' coupons and unrelated ads. Eliminate commissions to coupon affiliates, and the best part? No IT team required! Customers will find a site with consistent branding that can include additional content. This helps to reinforce the purchase decision, reduce shopping cart abandonment, and encourage larger purchases. Pay a low monthly fee only when coupon usage exceeds defined thresholds. This is less expensive than paying a commission on all sales. Sites that aggregate coupon codes distract shoppers with unnecessary noise. They display competitors' codes, bombard shoppers with irrelevant ads, and collect email addresses so they can ping consumers with coupons and deals unrelated to your business. Achieve better control of code distribution by setting code availability based on expiration dates and specific user access details. No cost for 60 days. No long term contracts. Click on a screen shot below to see how coupon sites can detract from the customer experience. Why should I provide coupon/promo codes? Coupon codes help to “close the deal” with consumers and help to avoid shopping cart abandonment. With consumers having multiple options for merchants to buy from, a coupon code can make the difference between a consumer purchasing from you or another merchant. Consumers who use online coupon codes often spend more than those who don’t. For example, when a consumer learns that shipping is free or that a 10% discount is available, additional items are often added to the shopping cart. There are a lot of coupon aggregation sites out there. Why shouldn’t I just use them to distribute my coupon codes? 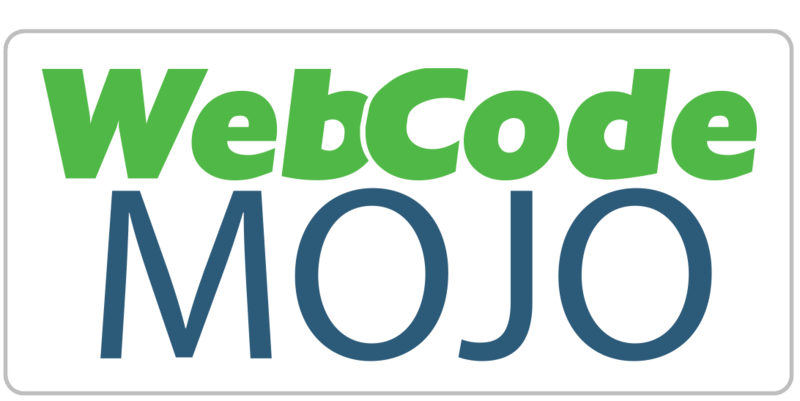 Working with WebCode MOJO will save you money on commissions paid to coupon affiliates/aggregators while giving you more control and enhancing your customers’ experience. I already have relationships with a few coupon aggregators. Where does WebCode MOJO fit in the mix? Working with WebCode MOJO does not prevent you from also distributing your coupon codes through other sites. Compare the costs and results, and determine for yourself what is the best coupon solution for you. How do I make changes to my coupon site? Currently, you contact us and we promptly make the changes you desire. In the future, we anticipate enabling you to easily modify the content yourself without coding. How do consumers find my coupon site? We create sites that rank high with search engines since we provide consumers with what they are looking for when they are searching for coupon/promo codes. What is the domain/URL of my coupon site? You can have a custom domain like www.YourBrand-Coupon.com, or we can use one of our generic domains with your company name as the subdomain (e.g. http://YourBrand.active-codes.com). How much time and energy will set-up and maintenance require? Getting your site up and running is simple. We deterimine together how we will track activity, and then we handle the rest. You can remain involved as much or as little as you like. At first, there will be no cost. Then, we will charge according to fixed tiers that are based on the volume of coupons used (with no cost until minimum quantities are surpassed). This cost will be significantly lower than commissions paid to coupon affiliates who drive a comparable volume of sales. Why don’t I just create and host a dedicated coupon site myself? You absolutely can, that is, if you don’t mind waiting in the queue for your IT team to get around to your project. Also, we like to delight our customers. Does your IT team share this mentality? Here at WebCode MOJO, we're improving the online shopping experience as it relates to coupon and promo codes. Rather than have consumers search for codes and find affiliate sites that aggregate codes, WebCode MOJO ensures that consumers find exactly what they are looking for. This makes for a better experience for the consumer while also providing value to the merchant beyond what code aggregation sites provide. WebCode MOJO was founded by CEO Scott Hoopman driven by a passion to enhance the online shopping experience for the benefit of merchants and their customers. After working for 4+ years in the affiliate marketing space for technology provider, UnsubCentral, Scott is now leading WebCode MOJO in its mission to disrupt the coupon and promo code status quo.